Julia Briggs, noted Virginia Woolf critic and biographer, died at about 6:30 a.m. Aug. 16 in the Royal Marsden Hospital in London, England. She had been in a coma for a week. She was the author of Virginia Woolf: An Inner Life, the groundbreaking 2005 biography of Woolf that focused on her writing life. Read a BBC interview with Ms. Briggs in which she discusses An Inner Life. 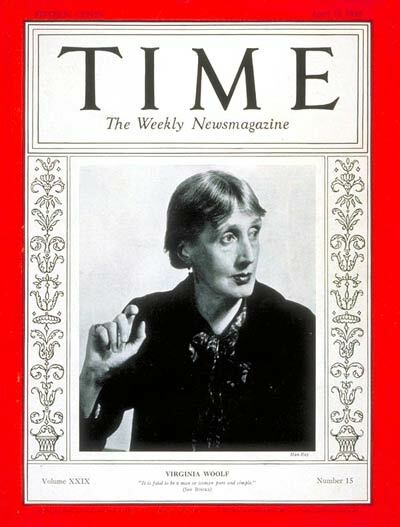 She also wrote a volume of criticism called Reading Virginia Woolf, which was published in 2006. Ms. Briggs was the general editor of the highly successful Penguin Virginia Woolf, which included Three Guineas and A Room of One’s Own. She edited Night and Day for the series. Ms. Briggs also wrote Night Visitors: The Rise and Fall of the English Ghost Story, A Woman of Passion: The Life of E. Nesbit, 1858–1924, and This Stage-Play World, about the Elizabethan theatre. She was an expert on children’s literature and co-edited Children and Their books : a Celebration of the Work of Iona and Peter Opie. She was a contributor to Cambridge Collections Online as well. Ms. Briggs was a professor of English literature and women’s studies at De Montfort University in Leicester, England. She served as chair of the faculty higher degrees committee and taught courses on Shakespeare, Virginia Woolf, twentieth-century and post-colonial literature. Her research interests included Shakespeare and contemporary dramatists, women’s writing in early modern England and late-nineteenth and twentieth century literature. Read obituaries in The Guardian and The Independent, a story updated Sept. 21 in the Telegraph, and a thoughtful tribute by Anne Fernald on her blog Fernham. 6 February 2009 Update: Read more about Woolf Online, a Web resource conceived of and organized by Ms. Briggs before her death and launched this year. The crux of your writing whilst sounding agreeable initially, did not really settle very well with me personally after some time. Somewhere throughout the paragraphs you were able to make me a believer but only for a short while. I however have a problem with your leaps in assumptions and you would do nicely to help fill in all those breaks. When you actually can accomplish that, I could surely end up being amazed. I am in the middle of reading her amazing biography of Woolf. I am shocked and terribly saddened to read of her passing. Wow, I had no idea she’d been ill, how awful.